Frederic Raphael is forensic in his description of the failures of successful people. He is enviously superior and he is partial to the clever oxymoron: ‘predatory caution’, ‘reticent curiosity’, ‘intimidating reassurance’. It is as though he cannot see an abstract noun without qualifying it with a contradictory adjective. It is a kind of shorthand cleverness, but a cleverness nonetheless. For Raphael is undoubtedly clever, and intelligent, and knowledgeable and smart (and, we learn, good at football, tennis and bridge). It is hard not to envy his certainties. This is a thoroughly enjoyable read. Diaries promise indiscretions, and the joy of gossip. I imagine Raphael’s peers will revel in his malicious pen portraits and suggestions of misbehaviour. ‘Bob’ Redford ‘treats himself like a smart vintage car’, the veins in Dirk Bogarde’s face ‘map his discreet excesses’, Ken Tynan ‘was a parody of the elegance which he failed to posess’. These are barbs so pointed and enjoyable that it hardly matters whether they are justified or not. There is campness in the extravagance of these put downs, as there is in the constant use of French forms: entre-deux-guerres, coureur, ecoeure, petit train, outré mer, valse d’hypocrites, points forts, as though cliché in French is somehow more writerly. This is not to say that FR is not a first-rate writer. He questions Anthony Burgess’s use of the word ‘sigh’ to describe the sound made when a tin is opened, and (rightly) suggests ‘gasp’ instead. For readers of succeeding generations some of the names here will have only the force of echo: Malcolm Muggeridge, Denis Healey, John Fowles, Liv Ullman, Penelope Mortimer, Kevin Billington, Barbara Castle, Shirley Conran. 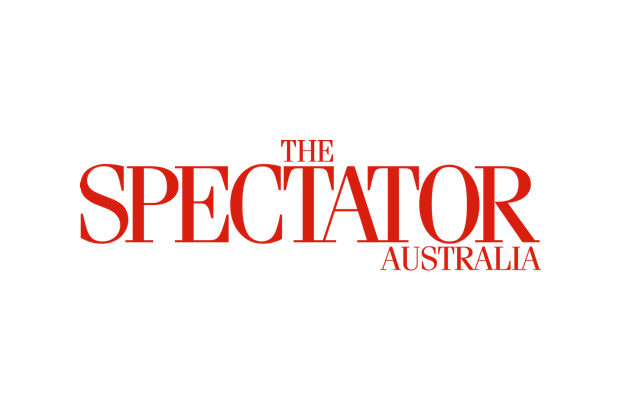 More senior Spectator readers will enjoy being taken back 30 years. The book opens with a scarcely believable story about Shirley Williams ‘being taken for an adventuress and a whore on the same night’. This is high gossip of the past. FR’s chief subjects are the world of film, Greek drama, Byron, political shenanigans to do with the arts pages of the Sunday Times, his dreams, story ideas and British politics (one wonders how he could possibly bring himself to vote, but he is very good on the SDP). At one point Raphael and George Steiner (one of the few people, along with Jonathan Miller, for whom he has almost unqualified respect) describe themselves as ‘Foreign Legionaires’, having no fixed cultural nationality. This is having it both ways, so when he writes about America (sometimes fatuously: ‘Americans are concerned less with practical politics than with the repeal of mortality’) he writes as a public-school educated Englishman. He disparages Britain and the British at the drop of a hat, in the tones of an outsider. FR is a misanthrope. I’m not sure I’d want to spend a great deal of time in his company. He is redeemed by his curiosity about others (some of the stories here are made up and others are not and it is not always easy to tell the difference). Arrogant, intellectually snobbish, he does not appear to be vain. There is hardly a hint of self-reflection in these pages. Is he too certain of himself? But of course if he were not so certain we would not have had this higher entertainment. Is it right to invoke Pepys or Evelyn? When Personal Terms have concluded they will prove to be Raphael’s lasting work, so perhaps it is. Pepys? Evelyn? More likely a literary equivalent of the already fading Alan Clark. I really enjoyed his Distant Intimacy, the e-mail correspondence over a year with the American writer, Joseph Epstein. This sounds like similar stuff. One more for my Kindle….